The Sterling United Methodist Church was established in 1875 as the Methodist Church in Guilford. It occupied a one-room building that was also used as a public school located at 1101 W. Church Road. In 1879, the building and one acre of land were purchased for $200 to be used as a church. 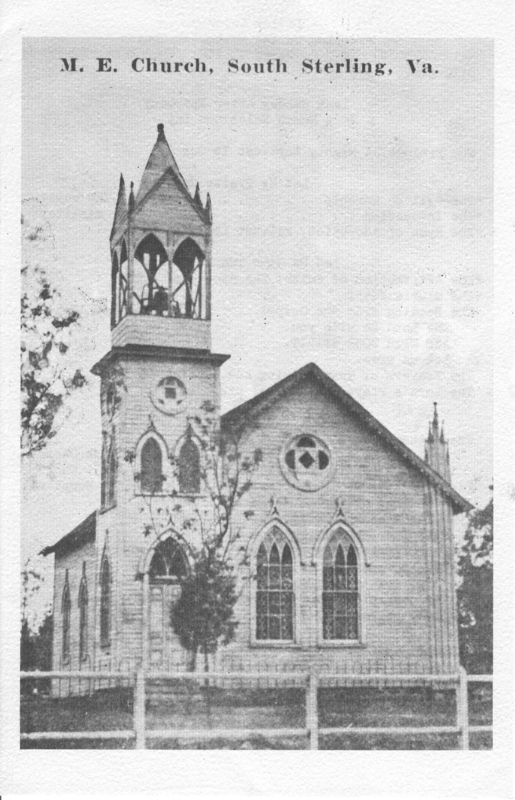 In 1890, the name of the community was changed from Guilford to Sterling, thus the name of the church was changed to Sterling Methodist Church. In March 1897, the church burned to the ground and a new building was soon erected on the same site. This church served as the sanctuary for the congregation until 1983. For 108 years, Sterling Methodist Church remained a part of a circuit which often numbered as many as nine churches. In the early 1960’s Broyhill and Sons purchased several farms and built what is now known as Sterling Park. Instead of beginning a new congregation in this community, the Northern Virginia Methodist Board of Missions assisted in meeting the challenge of growth. In June 1963, the first unit of a projected master plan of six buildings was constructed. Sterling became a station church in 1963 and was assigned a full-time minister. The church continued to grow and in 1968 a new Sunday School building was dedicated. Because of restructuring within the entire Methodist Church, the name was changed to Sterling United Methodist Church. On October 12, 1975, we celebrated 100 years of service to the Sterling community. Growth continued and on March 13, 1983, we broke ground for a new building. On October 30, 1983, we deconsecrated the old building and we moved into the first phase of our new building at 304 E. Church Road on November 20, 1983. Again growth dictated the need for additional space and an architect was secured for preparing plans for phases two and three of our building program. The drawings were approved in June 1987. A new Sanctuary and additional classrooms were dedicated in May 1992. In 2017 our Sanctuary, Narthex (lobby), kitchen, and restrooms were remodeled and updated to make our church more welcoming, beautify our place of worship, and improve our ability to serve others in our fellowship hall. Sterling United Methodist Church is a vibrant, active congregation that is engaged in ministry to God’s people, both here in our Sterling community and around the globe. We strive to nurture our children, grow and mature our youth, disciple our adults, care for those who are hurting, love our neighbor, and serve God’s world. The front entrance of Sterling United Methodist Church.